Bold. Strong. Beautiful. Aware. (wired) jewelry and couture makes a statement. Marrying aesthetics and environment, the results empower and inspire. Founder Melissa Kolbusz designs handmade wearable artwork entirely from reclaimed and surplus industrial material. Salvaging components, such as colorful alternator wire, tubing and transistors, (wired) fashions one-of-a-kind and limited edition works with designs on the future. The color, texture, and malleability of the found materials guide the design of each piece and foster different compositional challenges than traditional materials. 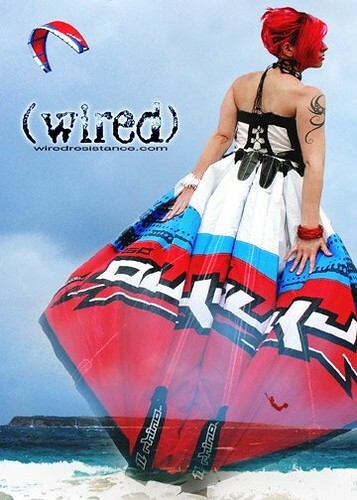 In 1999, artist/designer Melissa Kolbusz launched (wired). At the time she was living in Chicago’s Pilsen neighborhood and found inspiration in its recycling centers, factory warehouses and junkyards. Salvaging, repurposing and reinventing the materials she discovered in the industrial wasteland, she began to handcraft works of wearable art. At the forefront of sustainability, (wired) married aesthetics and environment before it was in fashion. Since then, her work has showcased, sold and been worn around the world. In 2010, she was invited to Ecochic Geneva at the United Nations in Switzerland where her work was worn on the runway, and shortly after was presented at EcoChic Singapore. She was also commissioned to create distinct jewelry and accessories for the EFFEN By Design series, where she fashions the vodka’s rubber labels into works of art. She has participated in the New York International Gift Fair, Hong Kong’s Fashion Access, Chicago is Red Hot and The-One-Of-A-Kind shows. A bold proponent of sustainability and solution through design, she held a two-week entrepreneurship seminar at The Belvedere Community Center in St. Maarten in 2009. The seminar introduced teenagers learning product design to sustainability, and how to incorporate it into product designs and business plans. Kolbusz holds a BFA in Industrial Design from University of Illinois at Chicago, and has worked in the fields of furniture design, engineering and architecture. The press has taken notice as well: CNN highlighted her jewelry for a story on recycled jewelry, and NPR affiliate WBEZ has featured Kolbusz on-air. 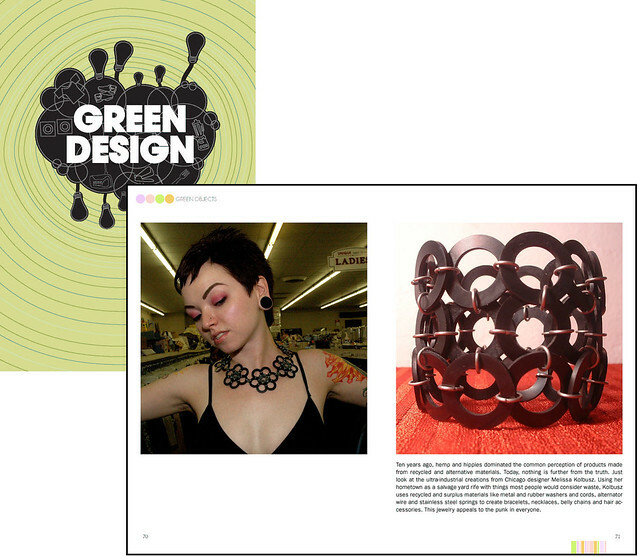 (wired) also recently graced the covers of Caviar Magazine, Time Out Chicago and has been featured in the books Green Design, Recycle: The Essential Guide, and Style, Naturally. Visit the press section at www.wiredresistance.com for the most recent press coverage.